Dr Steve Tillett is a top foot doctor in Portland, Oregon. • Find a shoe store that is trained to and will measure your kid’s feet. A trained shoe fitter will check for length of the Heel to toe and heel to ball of the foot as well as length. That funny little think that rests against the side of the big toe on a Brannick Device (Foot Measuring Device). → Important: Feet should be measured when standing not sitting. • Choose leather uppers or other breathable shoes to reduce the chances of fungal infections. • Avoid slip-ons, rather choose lace-ups, straps or Velcro as these act like a seat-belt, keeping the feet secure. 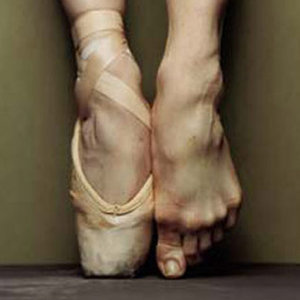 • Flats and ballet pumps do not provide support. → Ideally the arch area should offer support. • The heel cup of the shoe should fit exactly without being too tight or too loose. → Your should not be able to slip your finger past the first knuckle in the top of the heel, between it and the heel of the foot. • The toe area should allow the toes to move and not be squashed at the sides. • Allow about a finger width’s space between the toes and the end of the shoe for growth. Check this periodically to make sure your child’s feet haven’t had a growth spurt. • Heels should have a broad base and be moderately low, but not flat for young children. • Wear new shoes in the house first to make sure they do not hurt or rub. • Finally, it is always a good idea to check your children’s feet and shoes regularly for blisters, cuts, infections, etc. and watch-out for any growth-spurts! As both a coach of multiple sports and as a foot specialist (Podiatrist), I have learned the importance of Sport-specific shoes and how they can really elevate your game and help you avoid injury. Make sure not to just have your feet measured but make sure that the shoe fitter knows to check the length of your foot from heel to ball – yeah, kinda different hugh? That funny little gauge that is rested against the side of your big toe actually measures the true size of your foot. Although your foot may measure a size “9” from heel to toe, the true length of your foot could measure a “10” from “heel to ball”. You guessed it, that means you should actually be wearing a size “10”. Many shoe fitters don’t understand this. So when a shoe salesman is running to get you larger sizes because the measured size just doesn’t cut it, that means they don’t really have a clue about the true size of your foot, or even worse they don’t know the ins-and-outs of the variances in the shapes of the shoes they carry. Politely excuse yourself, and find a specialty shoe store to buy your new kicks. If you play a sport at least two to three times a week, you should wear a sport-specific shoe. • Have a thick, rigid sole that gives support while running and jumping while not being so flexible that your foot has to absorb all of the force. • High-tops will give you the support to cut quicker and change directions better on your cross-over. 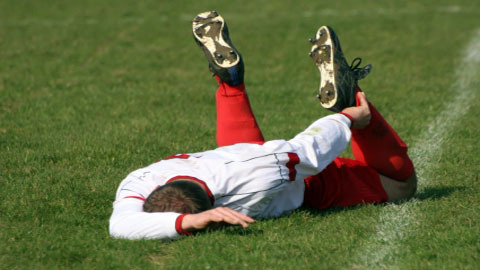 Common foot injuries include: sprained ankles, ingrown toenails and turf toe. • Not smash your toes together. • or on the flip side, not have more than a half inch of space (typically – the sideways thumb trick on the front of your shoes) so you don’t jamb the front of your shoes into the turf when ripping a shot to the top corner of the goal. • Have the right stud (cleat) type for the type of field that you will be playing on most often. Common foot injuries include: Heel Pains (especially in the 10-14 year old players), turf toe, Achilles tendinitis. Have the right stud (cleat) type for the type of field that you will be playing on most often. • Provide significant shock absorption, to lessen the impact. Steven G. Tillett, DPM - Fellow, American College of Foot and Ankle Surgeons. Dr Tillett’s new BBQ book “Grill It Up” is on Amazon! Winner 2015 Patients’ Choice Awards.